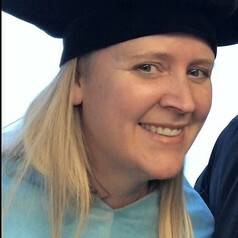 Astrid Kendrick completed her Doctor of Education from the University of Calgary in July, 2018. She has been a K-12 classroom teacher for nineteen years for the Calgary Board of Education, and has been a contract instructor at the University of Calgary and Mount Royal University for three years. For the past two years, she has be the voluntary Co-Chair of the Health Promoting Schools Collaborative (Southern Alberta Region), and recently volunteered to be the editor of the Runner, an annual publication of the Health and Physical Education Council of the Alberta Teachers Association.